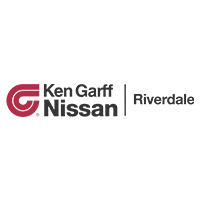 At Ken Garff Nissan Riverdale our goal is to create lifetime customers by providing truly exceptional service. We work very hard to have competitive pricing for routine maintenance items and still provide the superior quality and workmanship you have come to trust from Nissan in Riverdale. You can schedule your service online with our service advisors. From tune-ups to engine replacement, the excellent auto mechanics in Ken Garff Nissan Riverdale’s Service Department do it all. We are here to serve the greater Ogden, Layton, Brigham City and Farmington Utah areas, and everywhere in between! Call us anytime at (801) 781-4500 and we will be happy to help! *Up to $100.00 discount. Cannot be combined with any other offer, must present coupon at time of write-up. Not valid on routine maintenance and oil changes. See dealer for complete details.